Comparing schools or just having trouble deciding? Reading below might help you decide. All of our programs are internationally recognized and approved for both integrity, quality and effectiveness. Many schools are franchised and their curriculums are dumbed down to make money. Our school is certified by the International Martial Arts Council of America, the International Mixed Martial Arts Association, the International Kenpo Council of Grand Masters and the International Association of Krav Maga. Logan's has a broad range of experience from the best self defense systems on the planet. Sport based systems are at a disadvantage in todays self defense situations. We continually train with the Grand Masters of the systems we teach to keep the integrity and traditions of our arts. Logan's will teach you to develop as a real Martial artist. We do not push you past your limits. We teach you to find your limits and how to surpass them with proper goal setting. We will help you increase your natural strengths and minimize your weaknesses both physically and mentally. At Logan's we teach self control and do not promote aggressive behavior, BUT we do teach real self defense that actually works in today's violent world. Many of our programs are taught only to appropriate age groups. 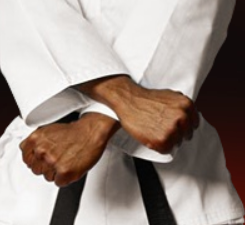 A true martial arts program has one primary goal, to teach defense. All the other benefits come after learning confidence. Many water down their art to be made safe for recreational competitions and are totally ineffective on the street. This gives false security. Master Logan and Sifu Tammy have extensive competition experience at both the professional and national level and can teach you the difference. Many schools train in bare feet on interlocking vinyl floors or training mats that can be a source of fungal diseases unless cleaned properly between every single class, which is highly improbable. At Logan's we train in shoes which is safer, more realistic, and hygenic. Our floor is carpeted over a sprung floor with a three-eighths gymnastics pad for safety and treated with antimicrobial spray daily. Logan's offers more class times per week than any other school with weekday and weekend classes. All of our instructors must complete an assistant instructor training program before they become certified instructors. All classes are taught with two to three instructors in every class providing plenty of attention to our students. Master Logan is at the school everyday - the first to arrive and the last to leave - and is willing to spend time to answer questions and offer needed advice for parents or students whatever their need may be. Master Logan is a professional instructor and devotes 100% of his time to teaching and developing quality students. Many schools claim they have no hidden fees, but in reality it's hidden in their astronomical monthly cost - some over double what we charge. Their testing fees are included in your monthly cost whether you test or not. At Logan's you will only test when you are truly ready not on some cycle of weeks and with a reasonable testing fee. Logan's doesn't sell rank, you earn it - no Paper Tigers here. We also do not have a Registration or Signup Fee. We have a lower annual cost and a larger, superior program. Come try a free class and compare, you will find you get more value for your dollar.